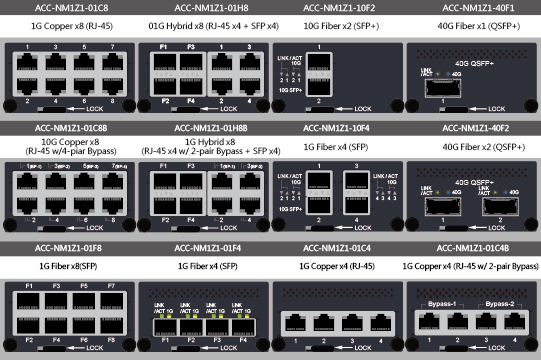 Industrial computer: The ANR-C236N1 series provides a more flexible server platform & system expansion versatility with 12x GbE copper LANs (4-pair bypass), 2x 10G fiber networks (SFP+) , 1 x expandable network interface modules (Exp. NIM), 1 Console, 2x USB 3.0, 2 x USB 2.0, 1x HDMI and 1 x Exp. The ANR-C236N1 series provides a more flexible server platform & system expansion versatility with 12x GbE copper LANs (4-pair bypass), 2x 10G fiber networks (SFP+) , 1 x expandable network interface modules (Exp. NIM), 1 Console, 2x USB 3.0, 2 x USB 2.0, 1x HDMI and 1 x Exp.